On Thursday night a group of us celebrated Thor’s birthday. We went to Chelsea Cinemas to see The Ritz, which was very funny. Thor brought caramel popcorn and candy to share. Ray won a raffle prize. Afterwards we went to Moonstruck. Thor likes the food and the service there plus we could get a big table. 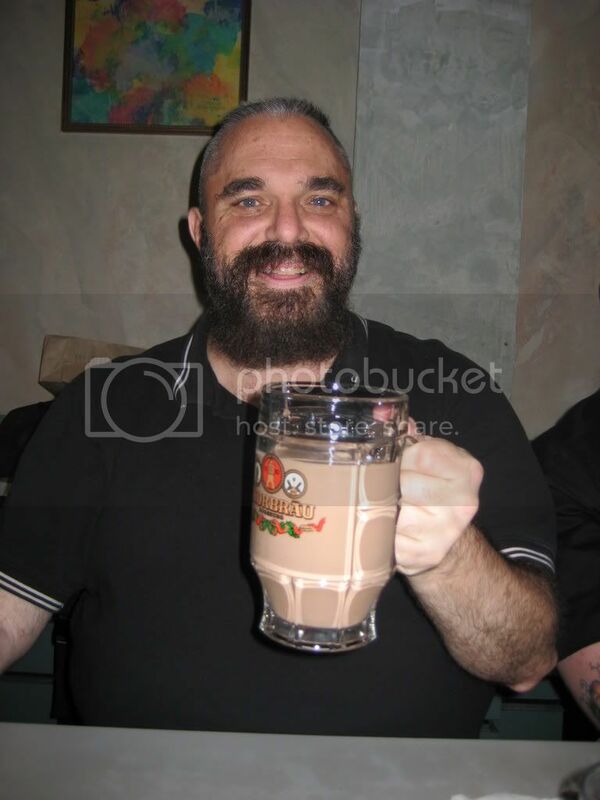 Thor poured his chocolate milkshake into the beer stein that Scott and Ollie gave him. It is imprinted with the the Thorbrau name and logo. And we had cake! Happy Birthday, Thor! I’m glad that I could help celebrate.